The world’s best tennis players descend upon the Big Apple for the fourth and final major tournament of the year, from August 31 to September 13. Like the three other events that make up the Grand Slam (the Australian Open, the French Open and Wimbledon), the US Open has a personality that fits its host nation and city. Enthusiastic crowds, seats filled with celebrities, and marathon matches that often last well past midnight? Only in New York! The first US Open championship was held in Rhode Island in 1881. For a period of forty years, it bounced from there to New York and then Philadelphia, before settling back in New York City in 1924. 1978 saw the championship move from the Forest Hills Tennis Club to its current home at the Billie Jean King Tennis Center. The US Open holds many unique distinctions. It was the first Grand Slam event that gave equal prize money to both the men’s and women’s champions, the first to hold matches under the lights, and the only Grand Slam event held every year since its beginnings. More than 700,000 fans are expected to attend the US Open, making it the best attended of the Grand Slam events. Although the singles matches generate the most buzz, there are numerous tournaments contested during the two weeks, including mens and womens doubles, mixed doubles, junior tournaments, and wheelchair tournaments. For two weeks, New York City is the center of the tennis universe, and the elite often live up to the advance billing. Although everyone loves an underdog story, by the end of the tournament you are likely to see the world’s best in the middle of Arthur Ashe stadium fighting for the title. 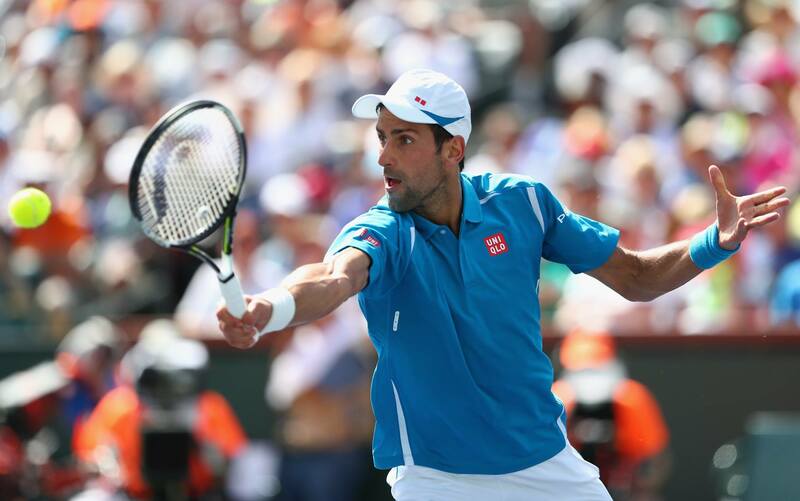 World #1 and 2011 champion Novak Djokovic, world #2 and five-time champion Roger Federer, and defending champion Marin Cilic are among those expected to contend for the men’s title. Past champions read like a list of Hall of Famers, with Andre Agassi, Pete Sampras, and Andy Roddick among the recent greats who have won the US Open. On the women’s side, American Serena Williams has captured the past three titles and is looking to complete the calendar-year Grand Slam. If she is successful, she would be just the fourth woman to win all 4 major titles in the same year. 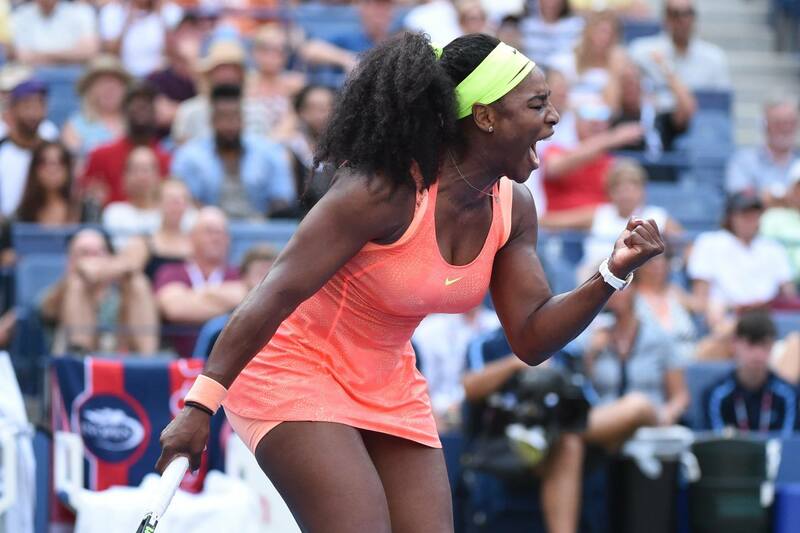 Past winners in New York include Maria Sharapova, Venus Williams, and Steffi Graf. Last year’s winners took home $3 million each, and that amount is expected to be even higher this year. Though much of the action takes place on the court, the large number of celebrity tennis fans packed into Arthur Ashe stadium or walking the grounds of the Billie Jean King Tennis Center can easily distract you. Many of the famous fans attend regularly throughout the two weeks. Leonardo DiCaprio, Kate Upton, David Beckham, and President Bill Clinton have all been spotted courtside, along with Justin Timberlake, Sarah Jessica Parker, and Eva Longoria. 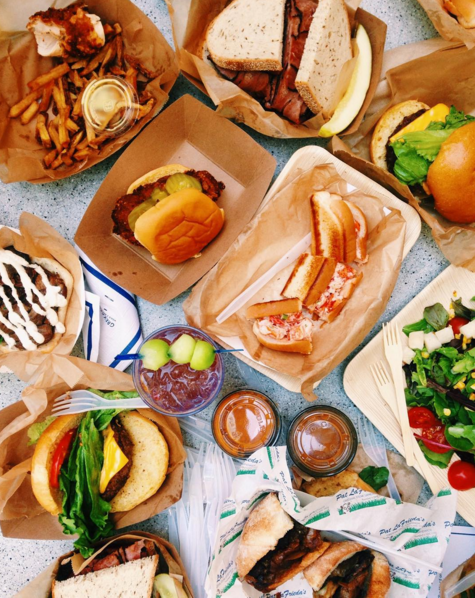 There is more to the US Open than just the tennis—the grounds offer up a number of great dining options as well as fun places to grab a drink while enjoying the energy of the New York crowd passing by. If you have suite level tickets or courtside seats in Arthur Ashe Stadium, you have access to both Aces and Champions Bar & Grill, although restaurant passes are also available for purchase. Aces features great sushi and the freshest seafood along with an extensive wine list. If steaks and chops are more your taste, check out Champions Bar & Grill for a modern take on the traditional clubhouse atmosphere. All ticket holders have access to a number of great venues around the center. Patio Café & Bar is a charming outside café featuring seasonal salads and sandwiches paired with summer specialty cocktails. Next to the Patio is the Moet & Chandon terrace, a great place to sip champagne in an outdoor lounge setting. For a transformative experience, head over to the Mojito Restaurant & Bar for a tropical setting reminiscent of 1950’s Havana. Latin specialties and cocktails can be enjoyed inside or in the whimsical outdoor garden. For a unique view of the grounds, go to the Heineken Red Star Café; enjoy a cold drink on the top level of a two-story building, a perfect spot to relax, follow matches on the scoreboards, and enjoy the crowds from a distance, all while enjoying great atmosphere and delicious menu items. There are a number of other great spots to quench your thirst and enjoy a snack—grab the US Open signature cocktail, the Grey Goose Honey Deuce, at the Grey Goose Bar and be sure to grab a famous US Open lobster roll or the ahi tuna sandwich. In between matches, be sure to stroll the grounds and check out the great merchandise available. Purchase official souvenirs at the US Open Collection Stores, where you will find everything from hats and t-shirts to oversized tennis balls perfect for gathering autographs. Ralph Lauren is the official outfitter of the tournament, and many exclusive styles are sold in their stores on the grounds. If you are looking for great performance gear like the pros wear, be sure to visit the brand stores for Nike, Lacoste, and Wilson, among others. Don’t miss the display of the official trophies, created by Tiffany & Co. The US Open begins on Monday August 31 and concludes on Sunday September 13 with the men’s singles finals (the women’s singles final is held on Sunday September 12). Day sessions begin at 11 a.m. and evening sessions start at 7 p.m. There are 3 different types of tickets available, for Arthur Ashe Stadium, Louis Armstrong Stadium, and Grounds Admission. Arthur Ashe tickets give you an assigned seat in the main stadium, with first-come, first-served access to all other courts. Louis Armstrong tickets provide an assigned seat at the second-largest court, as well as first-come, first-served seating in the Grandstand and all field courts. Grounds Admission offers general admission seats, with first-come, first-served seating at the Louis Armstrong Stadium, Grandstand, and all field courts. The first few days of the tournament have the most matches going on at once, and it is very possible to see some of the biggest stars practicing on outer courts, as well as many matches taking place at the smallest venues, allowing for unparalleled access to great tennis as well as the chance to see some of the future stars of tennis up close! If you hold tickets to the first evening session on August 31, you will also be treated to a terrific fireworks show! Don’t be worried if you haven’t gotten your tickets already. Getting into the US Open is easier than any of the other Grand Slam tournaments, especially during the first week. The grounds are also open a few days before the tournament, when you can see players practice—there is no charge for attending the practice days! 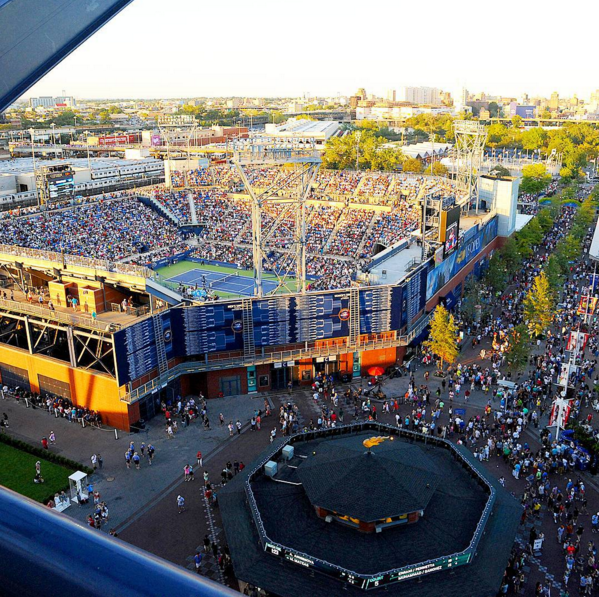 To get to the Open, take the 7 train or Long Island Railroad to Mets-Willets Point Station, or take a taxi or black car right to the front entrance! For more information visit usopen.org or see your hotel concierge.